This is a great utility item that allows you to vanish items in what looks like a normal paper bag. Although they will not last forever they can be reused many times each. Vanish objects! Switch objects into something else! Perform mentalism! Each Grocery Pop Change Bag set comes with 10 bags. 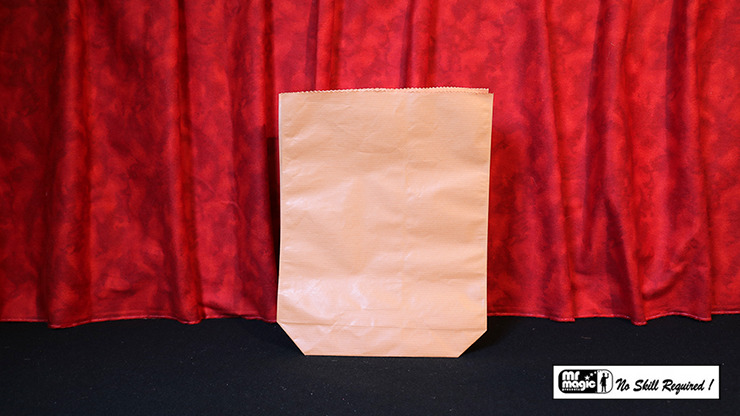 While the bag may look ordinary, it is truly a utility prop that will give you a "wow" from your audience. The best part is after placing an object inside the bag, you can inflate and then burst it. Your spectators will see an empty bag that has no place to hide anything. Each set has 10 bags, approximately 9" x 12", and written instructions that include multiple presentation ideas.